I've always wanted to do this and so this year I actually got my act together and set up a little holiday gift wrap and mail out station. It's more of a temporary set-up, as it's in my kitchen (I only wish I had the space to have a designated place like this all the time), but it's perfect for what I need right now and who knows, I may just like it so much that I'll figure out a way to carve out some space for this somewhere full time (even if it is in a the pantry closet)! What's making this all happen are a few pieces from the Martha Stewart Home Office for Avery available here in Canada at Staples. 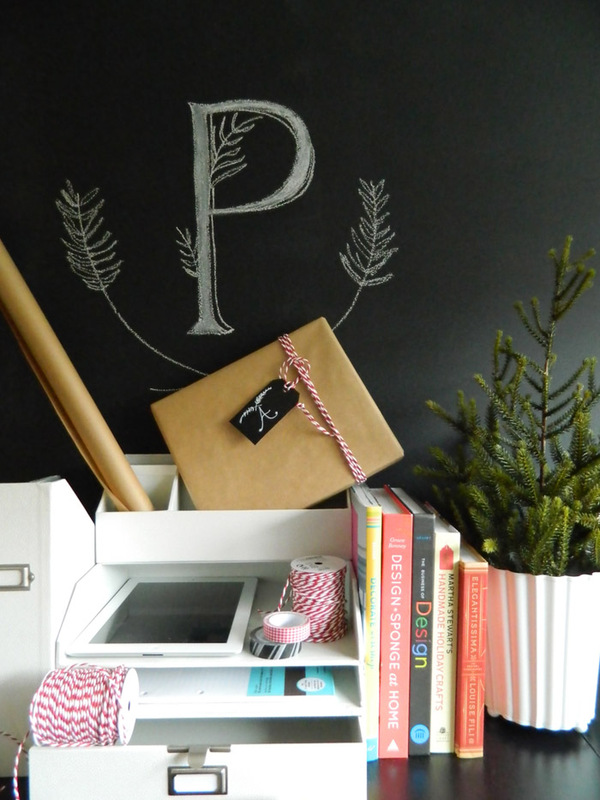 I'm loving the Stack+Fit Desk Accessories (each piece stacks up on the other so you can create a custom designed set-up for any home office or gift wrap situation). Shown above are actually 3 pieces stacked together. See more of it in action here. I'm thinking it'll be perfect for a catch-all for my incoming/outgoing mail afterwards. But for now it's a fun place to play some holiday tunes while I wrap and send out our holiday cards. I also got a heap of labels and file folders, along with some file pockets too (which I hope to attach to the inside of a closet door for receipts etc to get a little more organized for the new year). Almost time to hit that reset button – do you do that? I love starting a new year fresh - and the time between Christmas and New Years seems to be the perfect opportunity to make it all happen for us! 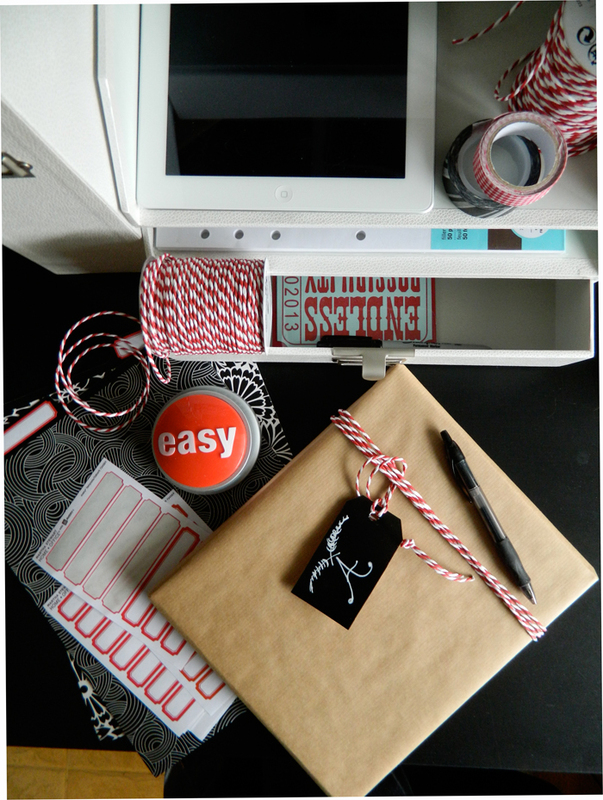 Stay tuned this week and I'll show you how I made those little gift tags you see in the photo's. It's super-easy and kind of fun! HappyWednesday! Thanks Rosa - I see you're up late also! Did you notice the string? It's sure coming in handy! Thanks again for that! Oh my! 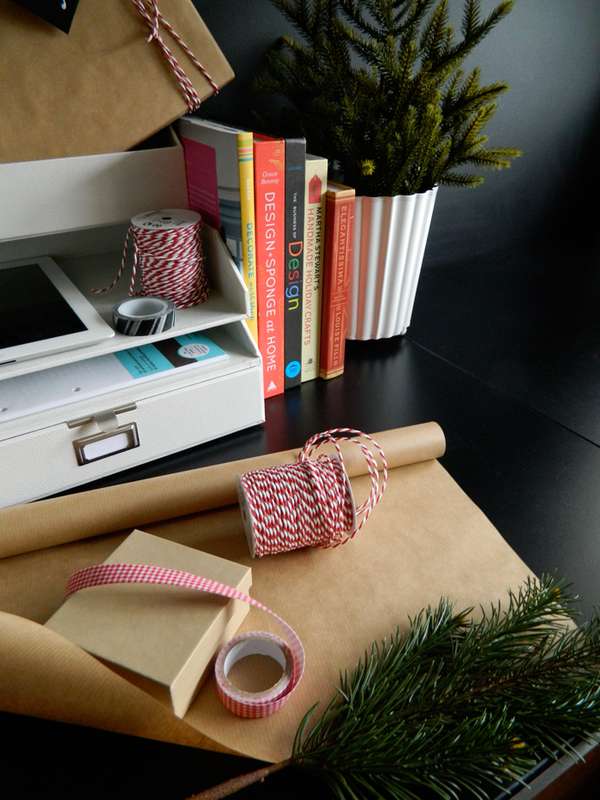 I would love a gift wrapping station like this! So organized! Beautiful little space! So beautiful! I've seen thinning baking twine, but I haven't seen the thicker stuff you have. Where did you get it?